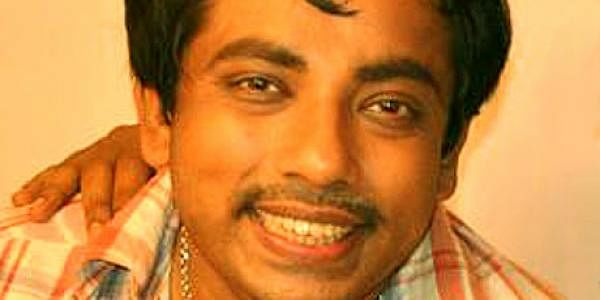 As far the cast of 'Moondru Per Moondru Kaadhal' is concerned, director Vasanth has roped in popular names of K’town. Actors Arjun, Vimal and director Cheran play the leads in the film, with actors Thambi Ramaiah and Appukutty essaying important roles. That’s not where it ends. Speaking to City Express, director Vasanth said comedian Sathyan will be part of the project. “For one of the characters I had written, I thought Sathyan fitted the bill. He has a cute face and I’m sure he will be the next big comedian,” he said. Vasanth also informed us that he has roped in a Mumbai-based model Lasini as the third heroine apart from Muktha Banu and Surveen Chawla. While Muktha makes a comeback to Tamil with this film, Vasanth said the other two girls had a promising future in the Tamil film industry, like Jyothika and Simran, who were introduced by Vasanth in 'Poovellam Kettupaar' and 'Nerukku Ner', respectively. Composer Yuvan Shankar Raja is wrapping up the songs and the final mixing is underway in Berlin, according to Vasanth. Composer and singer Ramesh Vinayagam has crooned one of the numbers, 'Stop the Paatu Stop the Paatu.. Indha Paatae Venam Thalaivaa' . "It’s a peppy and special number,” concludes Vasanth.